The Santikos Aegean Suites Hotel is the perfect holiday destination for peace seekers and ideal for a combination with our Island-Hopping program. Discover the tranquil island atmosphere accompanied with the finest Greek hospitality when visiting the island of Skiathos. 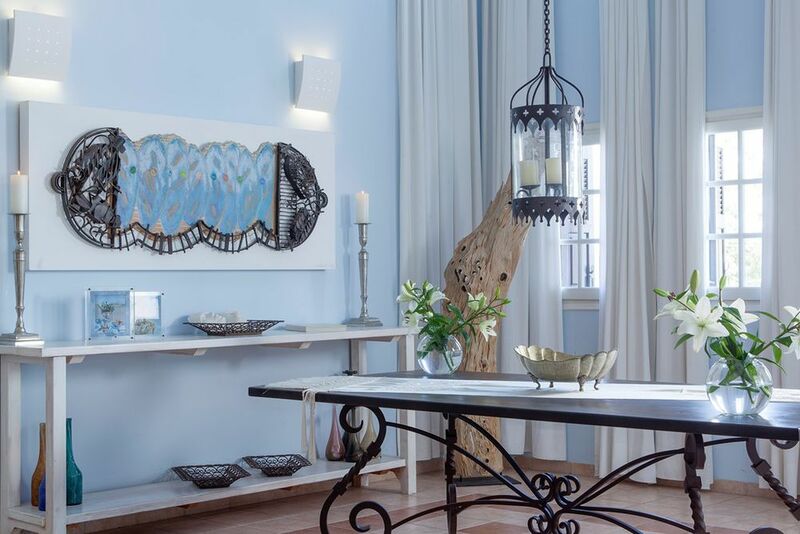 The beautiful boutique hotel, Santikos Aegean Suites, is not only the perfect complement to our Sporades Island Hopping program, but also the ideal place to discover the small and traditional island. Skiathos town, with numerous taverns and restaurants, is perfect for a walk with a loved one to explore more of the island. The airport is just a short 10-15-minute drive away. 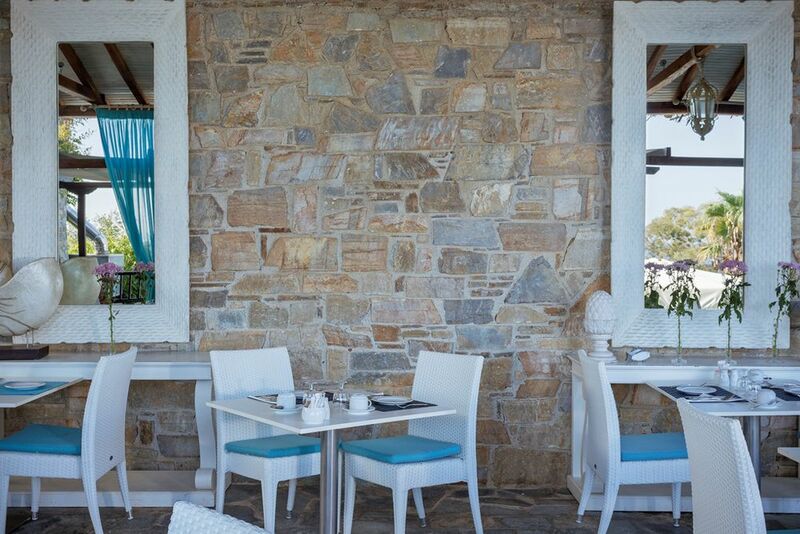 Four exquisite restaurants and bars cater to your physical well-being whilst staying at Santikos Aegean Suites Hotel. 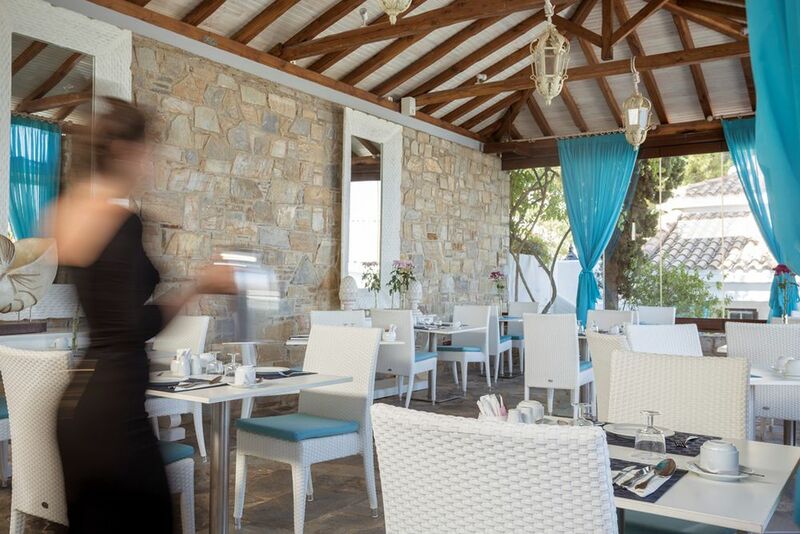 Enjoy Greek lunch specialties and Mediterranean dishes at the restaurant Karavia. 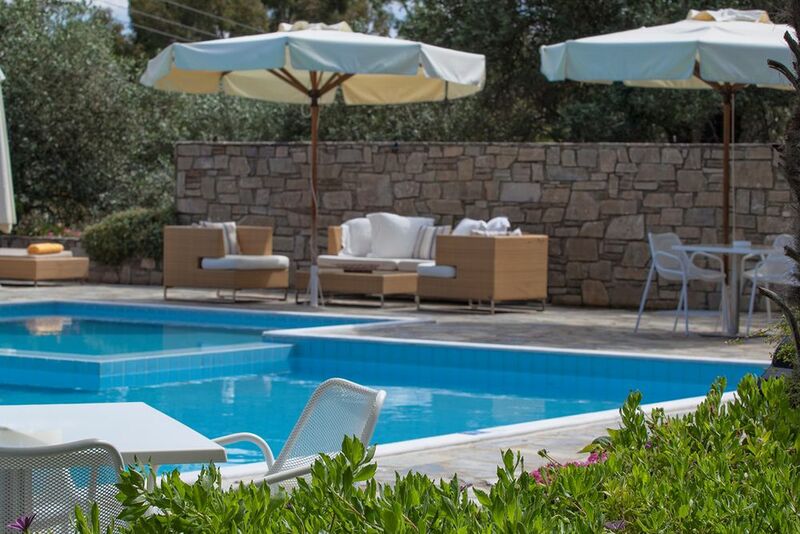 The gourmet restaurant, Pelagos, overlooks the beautiful pool whilst your delectable meal is prepared. Cool drinks, fruity cocktails and refreshments are served in the Bourbon and Champagne lounge bar. The pool bar Riva also provides delicious drinks and long drinks. Further attractions at the hotel include concierge services, dry cleaning and secretarial services. 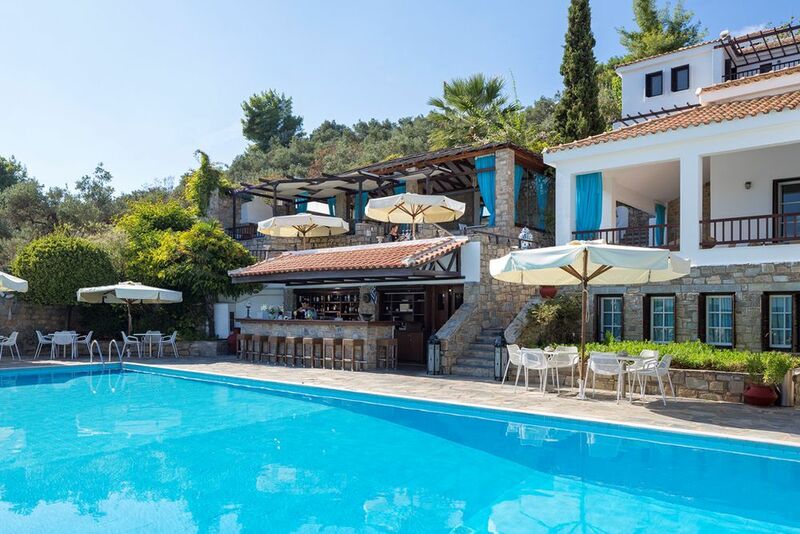 In addition, the shuttle takes you to the sister hotel “Skiathos Princess,” where all facilities can also be used as a guest. 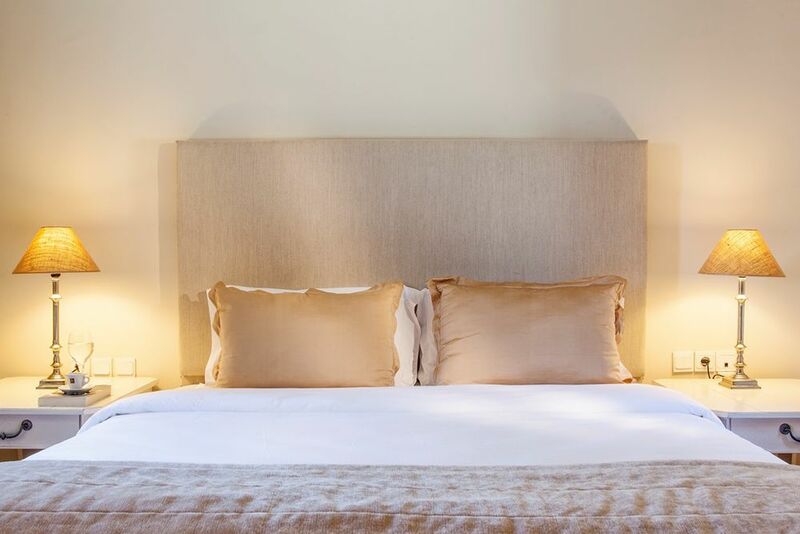 The 21 suites are individually furnished with close attention to detail. 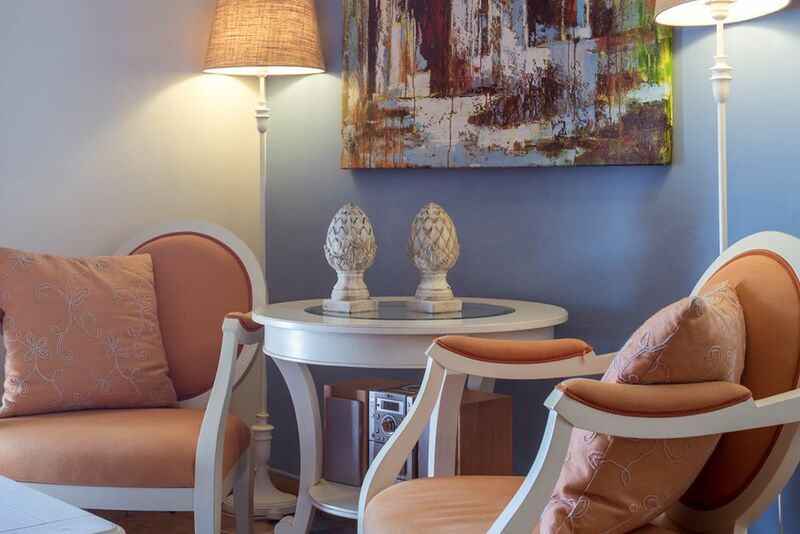 All rooms are equipped with air conditioning, a safe, minibar, Wi-Fi, CD player, satellite TV, terrace or balcony. 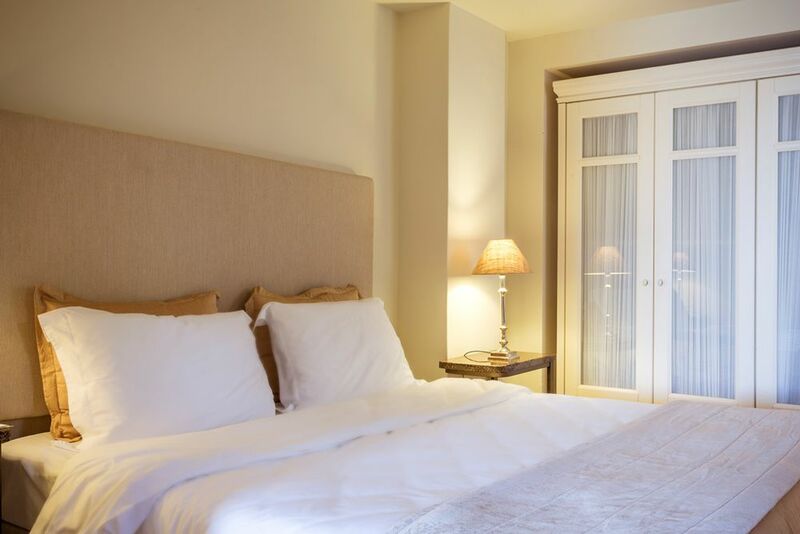 Standard Suite—Approximately 60 square meters, with the same features as the Promo suite also with a maximum of 3 guests allowed. 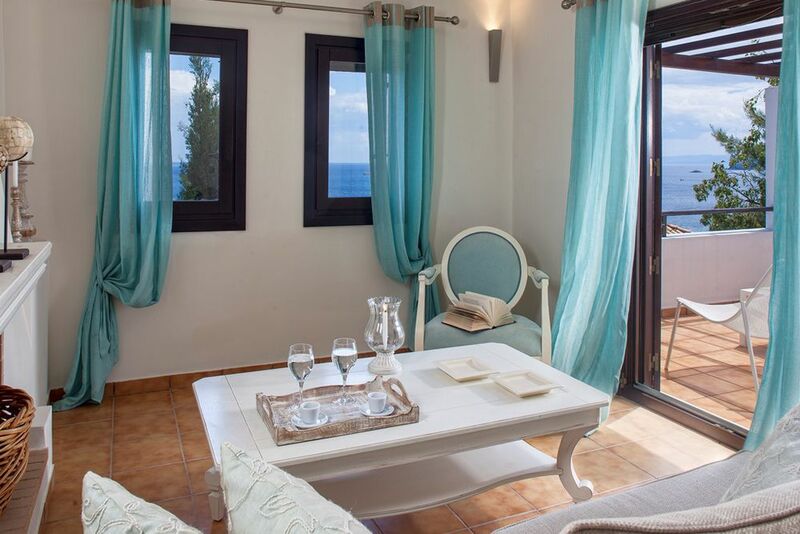 Deluxe Suite—About 55 square meters with a balcony or terrace with a view of the vast, blue sea. For a maximum of 3 people. 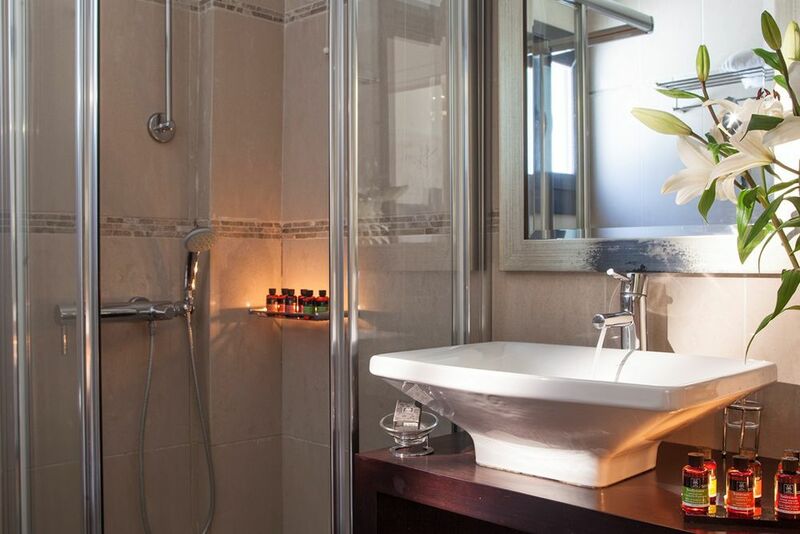 Charming Suite—Approximately 40 square meters, in an open design with a seating area, terrace and private Jacuzzi. For a maximum of 3 people. Heaven Suite—About 55 square meters, similar to the Deluxe Suite, but the Jacuzzi on the teak wood terrace with views overlooking the glistening ocean. For a maximum of 3 people. Two Bedroom Suite—80 square meters with a master bedroom and second bedroom, two bathrooms and a balcony overlooking the beautiful sea. For a maximum of 4 persons. Important: It is an adults-only hotel and accepts guests 16 years and older. 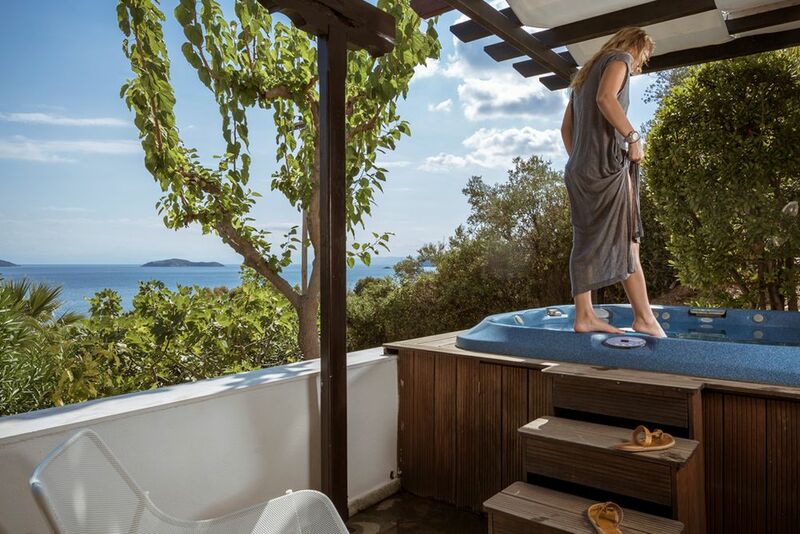 Breathe in ultimate relaxation when visiting Santikos Aegean Suites Hotel. 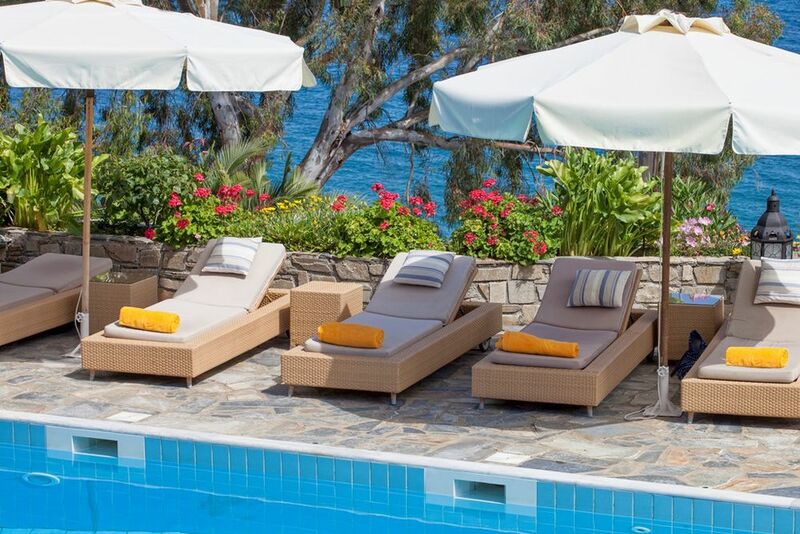 Indulge with a massage or body treatments in the “Beauty Corner” of the hotel, or take advantage of the wellness facilities at the sister hotel “Skiathos Princess.” The pool and beach area, reached via a small road, invite you to be kissed by the sun and take a dip in the welcoming ocean. In the small fitness room, you can train, strengthen and build endurance even whilst on holiday.